DURBAN, South Africa, March 22, 2017 (ENS) – On this, World Water Day, a water-scarce world is looking to treated wastewater to help ease increasingly severe water shortages. 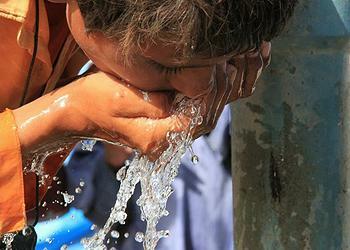 In many of the regions projected to be hit hardest, a water crisis is already happening. If nothing is done, by 2040, one in four children worldwide, almost 600 million children, will live in areas with extremely limited water resources, the UN Children’s Fund, UNICEF, said today. A major factor in future water stress will be a global increase in demand for water, driven by industrialization, population growth, demographic shifts, food production and increased consumption. UNICEF says taking longer showers, cleaning cars, watering gardens and eating more meat all take their toll. At the World Water Day Summit in Durban today, President Jacob Zuma unveiled the UN’s broad-based plan to provide water and sanitation for 10 billion people by 2030. 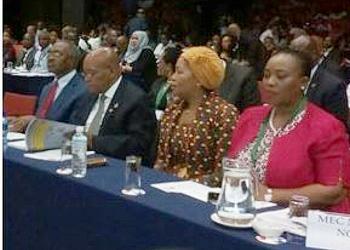 As part of the UN’s High Level Panel on water and sanitation, Zuma said all member states had recommitted to the human right of safe drinking water and sanitation, and recognized that water is at the core of sustainable development. Convened by former UN Secretary-General Ban Ki-moon and President of the World Bank Group Dr. Jim Yong Kim, the panel consists of 11 sitting Heads of State and Government and one Special Adviser. They are to champion a comprehensive, inclusive and collaborative way of developing and managing water resources, and improving water and sanitation services to ensure that the targets of the 2030 Agenda are achieved. The members of the panel said today that they are taking action in their own countries to accelerate the achievement of universal access through new service delivery and sector financial models. In recognizing the importance of data in water management, the panel announced that Australian Prime Minister Malcolm Turnbull will on Thursday launch the Panel’s Water Data initiative, with a focus on policies, innovation and harmonization to improve access to water related data. Turnbull will also announce the opening of a challenge to innovators to enable resource-poor farmers to have access to and make use of affordable and up to date water data. To strengthen sustainable water management and water use, Netherlands Prime Minister Mark Rutte has started a multi-stakeholder dialogue on the approach and principles for valuing water. “This dialogue aims at developing a set of shared principles top motivate and encourage governments, business and civil society to consider water’s multiple values and to guide the transparent incorporation of these values into their decision-making,” the panel said in its statement. The dialogue will become global early in April, with a web-based consultation and discussion on the draft principles. Regional multi-stakeholder meetings in several countries will be organized from May through July 2017. Meanwhile, Prime Minister of Bangladesh Sheikh Hasina will host a meeting of South and East Asian leaders in Dhaka at the end of July to discuss ways of strengthening cross-border collaboration and boosting access to safe drinking water and sanitation in Asia. A new UN report issued today in Durban, finds that improved management of wastewater is essential in achieving the 2030 Agenda for Sustainable Development. The World Water Development Report 2017, “Wastewater: An untapped resource,” finds that in low-income countries only eight percent of domestic and industrial wastewater is treated, compared to 70 percent in high-income countries. In many regions of the world, untreated water contaminated by bacteria, nitrates, phosphates and solvents is discharged into rivers and lakes and flows to the oceans, affecting public health and the environment. 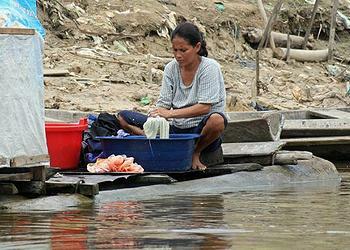 In Latin America, Asia and Africa, water polluted with pathogens from human and animal excretion fouls almost one-third of rivers, endangering the lives of millions of people. But, once treated, wastewater can be valuable as a source of raw materials. And treating wastewater to remove pollutants can reduce its impact on the environment and on public health. Recent developments in wastewater treatment techniques make it possible to recover certain nutrients, like phosphorus and nitrates from sewage and sludge and turn them into fertilizer. The UN report estimates that nearly 22 percent of the global demand for phosphorus can be met by treating human urine and excrement. “It’s all about carefully managing and recycling the water that runs through our homes, factories, farms and cities,” said Guy Ryder, director-general of the UN International Labour Organization and the Chair of UN-Water, an inter-agency entity of the United Nations. Reducing and safely reusing more wastewater is possible, Ryder maintains despite growing awareness that the presence of hormones, antibiotics, steroids and endocrine disruptors in wastewater increase the technical difficulty of wastewater reuse, as their impact on the environment and health are not yet fully understood. “Everyone can do their bit to achieve the Sustainable Development Goal target to halve the proportion of untreated wastewater and increase safe water reuse by 2030,” said Ryder. Use of treated wastewater has long been practiced by astronauts, such as those on the International Space Station, who have been reusing the same recycled water for more than 16 years. There is an entire closed-loop system onboard the International Space Station, ISS, dedicated to water. First, astronaut wastewater, such as urine, sweat – even the moisture from their breath, is captured. Then impurities and contaminants are filtered out of the water. The final product is potable water that can be used to rehydrate food, bathe, or drink. Repeat. Treated wastewater can augment drinking water supplies on Earth, although this is still a marginal practice. Cities such as Singapore, San Diego in the United States, and Windhoek, Namibia already treat wastewater to supplement drinking water reserves. Sources of potable water on Earth are limited. NASA reminds us that less than two percent of the water on our planet is fresh water, including glaciers and polar ice caps. The goal is to substitute recycled water where potable water is unnecessary. For example, we can use recycled water to recharge underground aquifers, irrigate landscapes and crops, and flush toilets. By using recycled water more frequently we can sustain the limited supply of potable water for drinking and cooking. 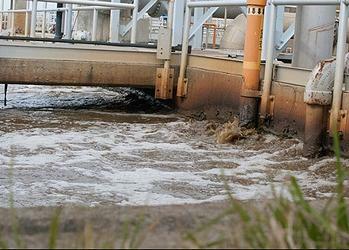 Other uses for treated wastewater are growing. At least 50 countries are now using treated wastewater for irrigation,accounting for an estimated 10 percent of all irrigated land. The International Water Management Institute, IWMI, a nonprofit research organization with headquarters in Colombo, Sri Lanka, and offices across Africa and Asia contributed to the chapter on risks and potential of wastewater use in agriculture in the new UN report released today. IWMI’s Michael Victor says their research shows that new business models allow entrepreneurs to transform wastewater and other toilet waste into valuable products, such as compost and fertilizer. “In fact, thinking like a business can help make waste management financially attractive and environmentally sustainable,” says Victor. There are difficult facts to deal with when attempting to turn polluted wastewater into drinking water. First, globally, over 80 percent of the wastewater generated by society flows back into the ecosystem without being treated or reused. Now, 1.8 billion people use a source of drinking water contaminated with feces, putting them at risk of contracting cholera, dysentery, typhoid and polio. Unsafe water, poor sanitation and hygiene cause around 842,000 deaths each year, according to UNICEF and the World Health Organization. Still, the the report emphasizes that opportunities for exploiting wastewater as a resource are enormous. Safely managed wastewater is an affordable and sustainable source of water, energy, nutrients and other recoverable materials.